Reasons to choose Easylawn for your artificial grass. The backing of any artificial grass is the most important structural element to look at when comparing products. This is where the quality and durability of any product lies. At a glance the two samples on the right (figure 1) look quite similar. But their backs (figure 2) tell a different story. 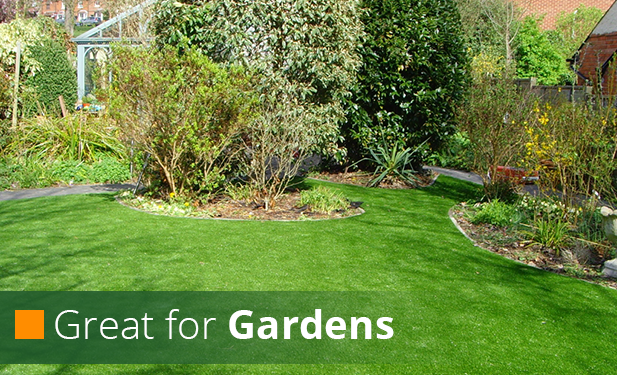 Easylawn ArtificialGrass has a superior, heavy duty latex backing. Our competitor’s product has hardly any latex present at all, so the stability of this grass over a long period is questionable. Easylawn uses a unique pile anchorage system called Tuftlock. The closer, denser stitch rates give the grass more structural density. 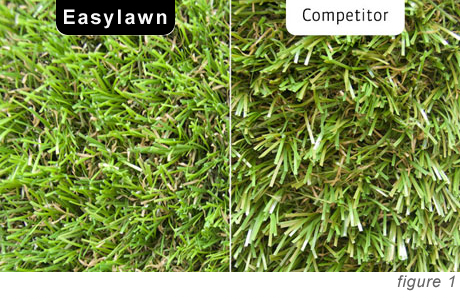 (Figure 3) shows Easylawn Artificial Grass, and a well-known UK competitor’s sample. 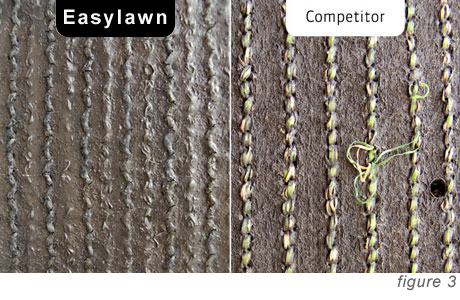 The difference between the stitch rates is clear; the neat Easylawn stitches sitting flush with the backing, and our competitor’s tufts protruding and somewhat ragged. This is a cheaper way of producing grass, but one that gives a shorter life span to the product. There are three main groups of material used in the production of artificial grass. 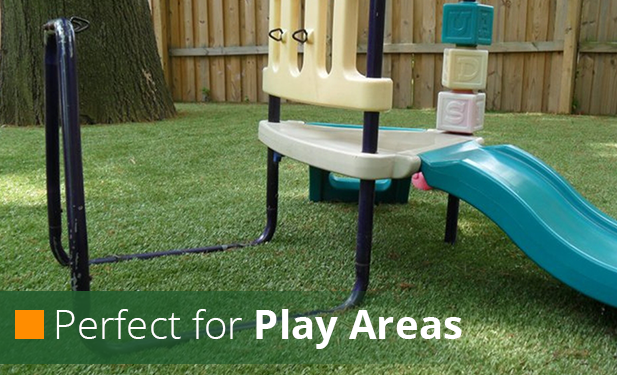 Polypropylene is the least expensive and great for sports products, but for high-end domestic grass it can be too coarse unless balanced correctly with Polyethylene, which is a more expensive material that produces soft grass products but not ideal when used alone. Polyamide (nylon) is the most expensive material, producing a strong, resilient grass fibre/filament. 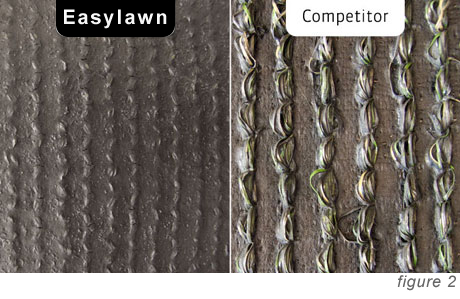 Easylawn integrate high quality polyethylene (long fibres) with polypropylene yarns (curled thatch), as seen in most of our artificial grass products. 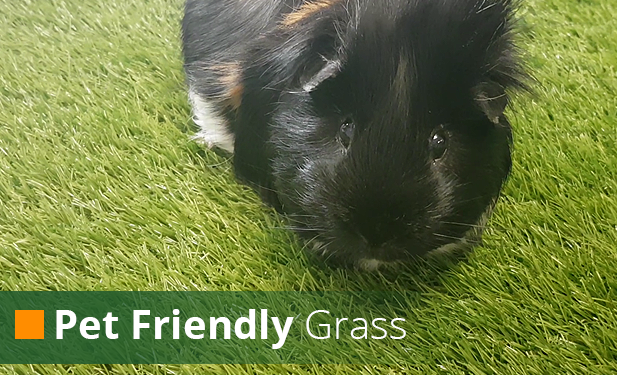 We also offer a uniquely constructed product with our top range artificial grass, offering the high resilience of Polyamides (nylon) with the softness and realism of Polyethylene.